Hampden is undergoing renovation work ahead of the UEFA 2020 European Championships. Huge state of the art six-tonne screens, measuring 5.49 metres high and 19.75 metres wide, have been installed above the east and west stands at the Mount Florida venue. They are similar to those seen at Real Madrid’s Santiago Bernabeu and England Rugby’s Twickenham home. In addition, 26 new skyboxes have been constructed across the South Stand and two skylounges fitted-out in the North Stand to bring the hospitality offering in line with UEFA EURO 2020 Tournament requirements. The lounges and the biggest in-stadia LED screens in the country will be in action for this weekend’s William Hill Scottish Cup final between Aberdeen and Celtic. Scottish FA media has put together a time lapse film of the installation and construction on Youtube. More than £2m has been invested so far in the redevelopment work by Scottish Government, Glasgow City Council, EventScotland, Hampden Park Ltd.and headed by the Scottish FA’s UEFA EURO 2020 Project Leader, Andrew Niven. Stewart Regan, Scottish FA Chief Executive: “The work undertaken so far in preparation for Hampden’s status as a host city venue for UEFA EURO 2020 has already revitalised the national stadium. The screens are simply awesome but also an integral part of making the Hampden match day a more interactive experience for fans. “They also create new advertisement and engagement opportunities for participating clubs, the Scottish FA itself and our sponsors and partners. “The refurbished skylounges also provide an enhanced experience for hospitality guests, with completely modernised facilities indoor but also new seating configuration in the main deck. “The excellent work undertaken as part of the Commonwealth Games event hosting in 2014 has also been added to, with new skylounges that again enable spectators to enjoy pre-match entertainment in first-class surroundings. “We had a visit from a delegation of UEFA’s EURO 2020 Venue Operations Unit during March and they were impressed by Hampden Park and the current improvements we are making to the stadium. 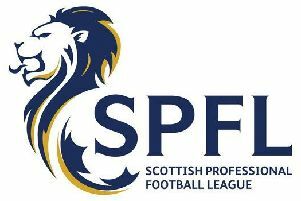 “We are pleased to be able to offer these new services for the William Hill Scottish Cup Final, adding further sheen to what already will be the season’s showpiece event. After the Scottish Cup final, Scotland host England in their World Cup 2018 qualifier on June 10.